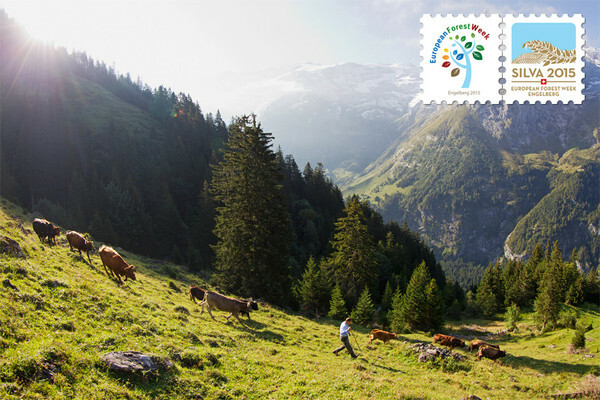 The 3rd European Forest Week and SILVA2015, a joint session of the UNECE Committee on Forests and the Forest Industry (COFFI) and the FAO European Forestry Commission (EFC) will be hosted by Switzerland in the Alpine village of Engelberg from 2 - 6 November 2015. The theme of SILVA2015 is "The Value of Forests". This event will bring together stakeholders from forest and non-forest sectors: government representatives and delegations, forest owners, businesses, environmental NGOs, academics and students from Europe, the Russian Federation, Central Asia, the Caucasus and North America. One of the organizers’ main objectives is provide a unique opportunity for participants to make an impact on pan European and global discussions related to forests, share their best practices and engage with other stakeholders. There is also the unique opportunity to organize Side Events and Parallel Meetings that will further address issues related to Silva2015 in the venues generously provided by the Government of Switzerland in Engelberg (subject to availability). The deadline for registration to the European Forest Week events is 2 October 2015 and the deadline for requests for venues for Side Events or Parallel Meetings is 30 June 2015. Join the celebration dedicated to "The Value of Forests" at the 3rd European Forest Week from 2 -6 November, 2015 in Engelberg, Switzerland! Looking forward to seeing you in Engelberg and wishing you a great summer season! 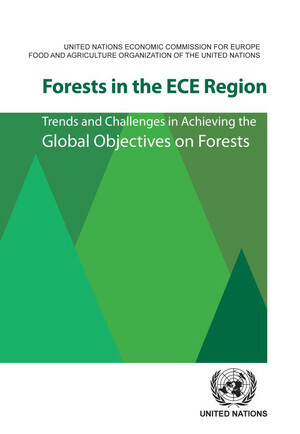 The UNECE-FAO study Forests in the ECE Region: Trends and Challenges in Achieving the Global Objectives on Forests was presented to the Eleventh Session of the United Nations Forum on Forests that took place in May 2015 in New York. The main findings of the study were brought to the attention of the UNFF plenary session 4 May 2015. The study and its key messages were presented and discussed at a special side event of UNFF 11 and included participation from representatives of UNFF, UNECE, FAO and the authors of the report. In addition, national experts shared their experiences and views on the progress towards the Global Objectives on Forests and related challenges for the forest sector in their countries. The study was prepared as a contribution of the UNECE Committee on Forests and the Forest Industry and the FAO European Forestry Commission to the United Nations Forum on Forests. Using the best available data, it examines progress of the forest sector in the UNECE region towards the four Global Objectives on Forests, adopted by the United Nations General Assembly in 2007. 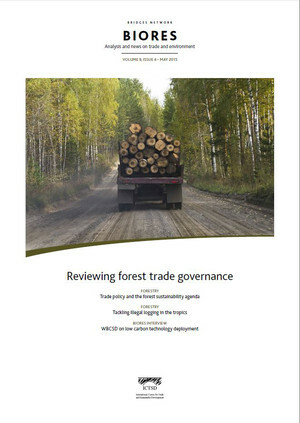 On the basis of these developments, as well as the forest sector outlooks and policy commitments by UNECE member States, 13 major challenges for the UNECE region forest sector are identified, analysed and policy recommendations are provided. The production of the study was supported by the Finland, Germany, the Russian Federation, Switzerland and the United States of America. The report (in English), key findings (in English and Russian), source data, graphs, maps and an infographic can be downloaded from here. The UNECE/FAO Forestry and Timber Section and the COST Action FACESMAP supported by the organizations relevant to forest ownership continue their joint work on forest ownership reporting in the UNECE region. The national reporting process was launched at the beginning of June 2015. The questionnaire on forest ownership was disseminated to the relevant UNECE/FAO correspondents as well as COST Action FACESMAP focal points that will support the national reporting process. The responses are expected to received from the countries by the end of October 2015. The data collected through the national reporting process, together with other available information, will serve as the basis for a production of a thematic study on forest ownership in the UNECE region. To get more information about the Forest Ownership reporting process kindly visit our website or contact Sebastian Glasenapp (sebastian.glasenapp@unece.org). The increasing competition for forest resources will necessitate new forest-related policies across different sectors. These policies demand relevant, harmonised, comprehensive, reliable and up-to-date information. As a response to this challenge, the DIABOLO project brings together 33 partners from scientific institutions in 25 European countries (Figure 1), including experts in the fields of policy analysis, forest inventory and forest modelling, who have live linkages to European and national policy institutions and stakeholder networks. DIABOLO’s aims are to: i) strengthen the methods to produce more accurate, harmonised and timely information derived from forest inventories and monitoring systems, that can be fed into the EU information systems (SEIS, EFDAC); ii) support the development of EU policies and international processes relying on consistent forest information; and iii) make innovative use of field-collected data and EC space-based applications of Earth observation (see Figure 2). Five major innovations can be expected from DIABOLO: 1) more effective interface between science and policy; 2) faster impact by sharing methods/techniques for harmonisation between 25 National Forest Inventories (NFIs); 3) wider scope of NFIs; 4) improved timeliness in forest disturbance monitoring; and 5) better understanding of biomass supply dynamics and trade-offs between land-uses. ISO members have recently approved the establishment of a new technical committee on bamboo and rattan (ISO/TC 296) whose scope is "Standardization of bamboo, rattan, and derived materials, including terminology, classification, specifications, test methods and quality requirements ". The plan is to develop standards in three fields: terminology, test methods to assess mechanical and physical properties, products. Especially as far as these latter are concerned, the committee will have to consider and avoid overlapping with the activity of already existing technical committees (timber, timber structures, wood-based panels, floor covering, furniture, …). There are currently more than 50 bamboo and rattan producers, mainly developing countries based in Africa, America and Asia, such as China, the Philippines, Ethiopia, Indonesia, Brazil, while the European Union (EU), the United States (USA), Canada, Japan, and the Republic of Korea play the role of the major import markets. 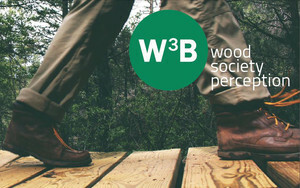 The W3B research project investigates people’s opinion of the forest-based sector and its contribution to a bioeconomy. 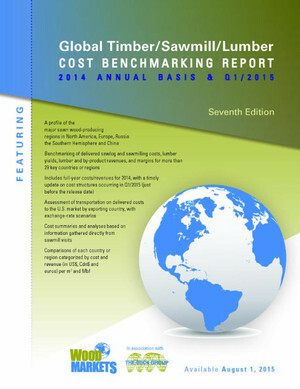 The survey covers issues such as sustainable forest management, wood as construction material, the role of wood and forests in global warming or the development of innovative wood products that can make our lives more sustainable. Based on the topics selected in the project, eight individual questionnaires were developed. By following the link a questionnaire will be chosen randomly for you. Please select a language in the drop-down menu on the top right corner. Maximum time needed to fill out the survey is 10 minutes. Everyone, independent from socio-demographics or their relationship to the forest-based sector, is allowed to participate in the survey. Through your participation you will contribute to present discussions of the forest-based sector and help to provide suggestions for the future sustainability communication of the forest-based sector. Please share the survey with your network and thereby help us to increase the impact of the project. Gland, Switzerland—WWF, the world´s largest conservation organisation, is inviting the world’s leading pulp and paper manufacturers to participate in the Environmental Paper Company Index 2015. The biannual Index promotes transparency and continual improvement in the sector. The list of invited manufacturers from Europe, North America, South America, Asia and Africa can be viewed here. Results of the evaluation will be published in October/November 2015. The increasing number of participants in WWF´s Environmental Paper Company Index over the years is a testimony to the growing importance of transparency and the value of the Index for the industry. Participants in the 2013 Index produced 29% of the world´s newsprint, 28% of the world´s graphic paper, 14% of the world´s tissue, 6% of the world´s packaging and 14% of the world´s pulp. This means that the ecological footprint of 82 million tonnes of pulp and paper was disclosed. The Forest Stewardship Council® (FSC) has launched its new global brand: Forests For All Forever. In the past 20 years, FSC has become a well-trusted name within the environmental and sustainability sector – a unique platform where economic, social, and environmental groups and organizations are heard and can reach consensus on the most challenging issues facing forests today. Now, with its new branding, FSC hopes to inspire an audience it has not engaged directly before – the consumer. "The success of FSC has always depended on consumer awareness and demand for FSC-certified products, and we have relied on our partners and certificate holders to spread the message of FSC on our behalf. But with sustainability now at the forefront of many consumers’ minds, and the introduction of the new Sustainable Development Goals at the end of this year, we feel this is the right moment to make a connection with consumers in a more direct way," said Kim Carstensen, Director General of FSC. The new strapline - Forests For All Forever - reaffirms the FSC vision of saving the world’s forests for future generations, while the visual identity, which includes the animals and people who live and interact in forests, reinforces the all-encompassing approach FSC takes to sustainable forest management. "Forests are so much more than trees and timber – they are reservoirs for clean drinking water, protection for animals and endangered wildlife, and home to indigenous peoples and communities. Our Principles and Criteria have always reflected our determination to protect forests and their inhabitants. Now, our commitment will also be expressed in our visual identity, and provide a clearer message to consumers of what it means when they buy an FSC-certified product," stated Mr. Carstensen. "In addition, with widespread deforestation continuing in parts of Asia, Latin America and Africa, it was time go beyond outreach to producers and retailers," continued Mr. Carstensen. "Supply grows in response to demand, and those at the end of the supply chain – consumers – are vital to ensuring companies seek out sustainable solutions and engage in responsible businesses practices in all parts of the world." The new branding was developed based on a marketing survey that reached 9,000 participants from 11 different countries in 2013. An online toolkit [+LINK] containing the new branding assets has been created to help businesses promote their FSC certification. About one in nine people globally still suffer from hunger with the majority of the hungry living in Africa and Asia. The world’s forests have great potential to improve their nutrition and ensure their livelihoods. In fact, forests and forestry are essential to achieve food security as the limits of boosting agricultural production are becoming increasingly clear. A comprehensive scientific analysis of the relationship between forests, food and nutrition emphasises the importance of forests and tree-based landscapes for food security and nutrition, and underlines the need for the most vulnerable groups of society to have secure access to forest foods. The report entitled "Forests, Trees and Landscapes for Food Security and Nutrition" was launched in New York at a side event of the United Nations Forum on Forests, on 6 May. 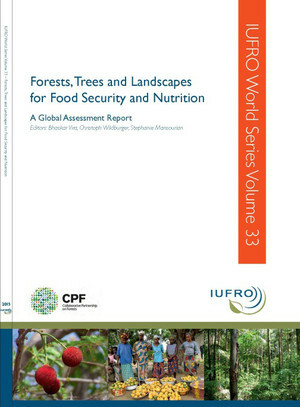 The assessment was based on the work of the Global Forest Expert Panel on Forests and Food Security (GFEP-FFS), convened by the International Union of Forest Research Organizations (IUFRO), the world’s largest network of forest scientists, on behalf of the Collaborative Partnership on Forests (CPF). On 25 June the chair of the expert panel, Professor Bhaskar Vira from the University of Cambridge, will take part in a panel discussion on "Forests, Food and Life" that the Austrian Ministry responsible for forestry will organize in the "Breathe Austria" Pavilion of the EXPO2015 in Milan, Italy. Download the report and policy brief here. The Forest Solutions Group of the WBCSD has released a new report, the Facts and Trends: Fresh and Recycled fiber complementarity, emphasizing the complementarity of fresh and recycled fiber to meet the increasing demand for renewable raw material. Have you ever wondered if it is more sustainable to use paper products made from fresh or recycled fiber? It is a fair question to ask, but a question that cannot be answered with either-or. In fact, fresh and recycled fiber are part of single-integrated wood fiber system. Fresh fiber needs to be harvested to sustain that cycle. Positive impacts and effectiveness of recycling depend on how much usable fiber can be recovered. The environmental attributes of fresh and recycled fiber are difficult to compare because both they complement each other in a single system. In its new Facts & Trends report the WBCSD Forest Solutions Group aims to demonstrate the complementarity of fresh and recycled fiber for the sustainable supply of renewable raw material and products, outline environmental trade-offs between choosing between fresh and recycled fiber and emphasize how to maximize the value of each harvested tree. Click here to view and download the publication. In this crunch year of global agreements, we identify two opportunities for giving the SDGs the best chance of success: through integrated implementation and integrated indicators. 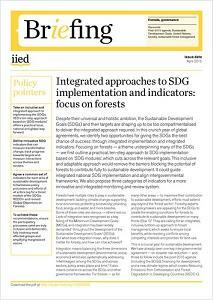 Focusing on forests — a theme underpinning many of the SDGs — we first outline a practical, ten-step approach to SDG implementation based on ‘SDG modules’, which cuts across the relevant goals. This inclusive and adaptable approach would remove the barriers blocking the potential of forests to contribute fully to sustainable development. It could guide integrated national SDG implementation and align intergovernmental frameworks. We also propose three categories of indicators for a more innovative and integrated monitoring and review system. 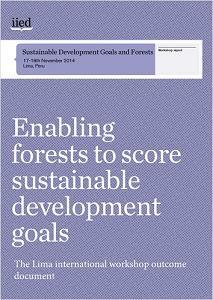 The workshop ‘Enabling forests to score sustainable development goals’ was held in Lima, Peru, during 17-18 November 2014. The main objective of this workshop was to enable policymakers, negotiators, experts and representatives of civil society to engage productively on the optimal integration of forests within the SDGs, including the identification of issues requiring guidance for the negotiation process and guidance on implementation. This report presents the story of Indonesia FGLG, one of ten in-country partners that form the international Forest Governance Learning Group (FGLG). 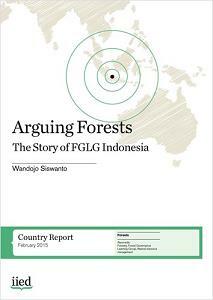 By providing an in-depth and personal insight into its activities and achievements, the report recounts the setbacks and successes experienced by FGLG Indonesia as it has evolved from a group of young, concerned foresters through to its current status as a multi-stakeholder forum. 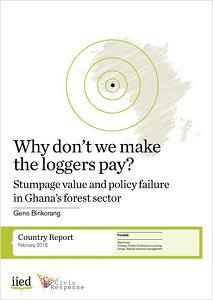 Research presented in this report shows the Forest Commission’s failure to review stumpage in Ghana has led to millions of dollars of lost revenue from stumpage fees over the period 2003-12. The report outlines the underlying reasons for this noncompliance, the implications of non-review for forest resources management and makes recommendations to address shortcomings and inform future policy actions to protect the interests of the state and forest owners in forest tax imposition. The loss of woodland in Mozambique is more than an environmental issue. Choices about land use — whether made locally, provincially or nationally — affect the availability of water, firewood, fertile land and other ‘ecosystem services’ delivered by woodlands. When these services underpin food security and routes out of poverty, what happens to woodlands becomes as much about people. 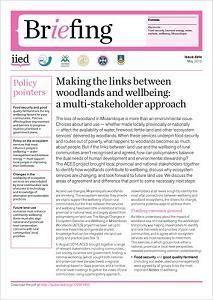 But if the links between land use and the wellbeing of rural communities aren’t recognised and agreed, how can policymakers balance the dual needs of human development and environmental stewardship? The ACES project brought local, provincial and national stakeholders together to identify how woodlands contribute to wellbeing, discuss why ecosystem services are changing, and look forward to future land use. Despite slow progress to securing a robust international agreement on climate change, progress has been made on REDD+ during COP negotiations. Bilateral and multilateral funding support has also generated and maintained momentum for both REDD+ readiness and testing at country and project levels. This testing is vital to help clarify responses to questions such as who contributes to reducing emissions, how will performance-based payments be made, who is eligible for them, and how will results be measured and monitored? 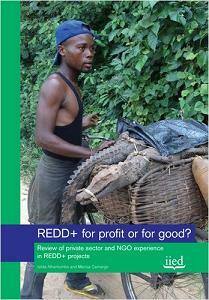 Such initiatives are funded through public and private sources, the motivation of the research reported on here was to better understand private sector and NGO engagement in REDD+ in particular. Across the globe, forests and forestry secure livelihoods, ecosystems, and help to tackle climate change – as recognised by the inclusion of forest targets in the post-2015 development agenda’s sustainable development goals (SDGs). The May issue of BioRes, "Reviewing forest trade governance," looks at some emerging trends in forest sustainability governance, particularly where these intersect with trade policy. Bridges Trade BioRes is a monthly periodical focused on issues at the nexus of trade and the environment, published by the International Centre for Trade and Sustainable Development (ICTSD). 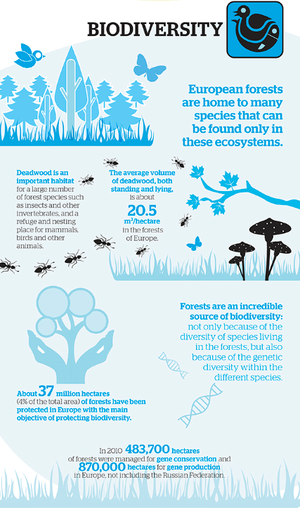 General facts about European forests: including information on forest area, the volume of wood growing in the forests, the different types of forests and forest property. Environmental functions of forests: underlining the role of forests in fighting climate change, preventing soil erosion, preserving water resources, and providing habitat for hundreds of species. Economic value of forests: providing data that raises awareness of the economic importance of forests, which are a source of income and wealth for many people. Social benefits of forests: including data about the relation between forests and employment in Europe; energy; recreation; the cultural and spiritual values of forests; and other issues related to the multiple social benefits provided by these ecosystems. All the infographics can be downloaded from this link. Special subscription prices available: SAVE $1,000+ on this benchmarking report - but only until June 30th, 2015. Normal subscription prices apply after this date. Scheduled for release in early August 2015. With the aim of continuing the work initiated during the first Drafting Meeting for the preparations of the 7th Ministerial Conference (held on 24-27 March 2015 in Madrid, Spain), and further developed at a 2nd Drafting Meeting (held on 1-3 June 2015 in Madrid, Spain), a 3rd Drafting Meeting for the preparations of the 7th Ministerial Conference will take place on 29-30 June 2015 in Madrid, Spain. The ELM will be informed on the last outcomes and on-going work on the implementation of the FOREST EUROPE Programme of Work. It will also decide on the ministerial decisions to be presented at the 7th FOREST EUROPE Ministerial Conference. Draft decisions were prepared during the two Drafting Meetings for the preparations of the 7th FOREST EUROPE Ministerial Conference that were held on 25-27 March 2015 and 01-03 June 2015 in Madrid, Spain. This ELM will be held back-to-back with the Expert Level Meeting for the preparations of the Extraordinary Ministerial Conference that will take place on 30 June 2015 in the same city. According to the Oslo Ministerial Mandate, the Intergovernmental Negotiating Committee (INC) for a Legally Binding Agreement on Forests in Europe shall present its work to a FOREST EUROPE Extraordinary Ministerial Conference (EMC) for its consideration and possible adoption. The EMC will be held in October 2015, back to back with the 7th FOREST EUROPE Ministerial Conference. This ELM will decide on the ministerial decision to be presented at the EMC. A draft decision was prepared during the Drafting Meeting for the preparations of the FOREST EUROPE Extraordinary Ministerial Conference that took place on 23-24 March 2015 in Madrid, Spain. This ELM will be held back-to-back with the Expert Level Meeting for the preparations of the 7th FE Ministerial Conference that will take place on 01-02 July 2015 in the same city. Ministers responsible for forests in Europe will gather on the occasion of the 7th FOREST EUROPE Ministerial Conference, which will take place the same year that the FOREST EUROPE process reaches its 25th anniversary. FOREST EUROPE Extraordinary Ministerial Conference. Madrid, Spain, 21 October 2015. The FOREST EUROPE Extraordinary Ministerial Conference will receive the results of the Intergovernmental Negotiating Committee (INC) for a Legally Binding Agreement (LBA) on Forests in Europe. It will be held back to back with the 7th FOREST EUROPE Ministerial Conference. Join Business and Environmental Leaders at In Good Company 2015! Business CEOs, and leaders of key environmental and social organizations, will speak at In Good Company 2015, which will take place from 3 to 5 September in Durban, South Africa. CEOs from Mondi Group, Portucel Soporcel Group, WWF South Africa and PAMSA have all announced they will participate in a high-level panel discussion, the FSC+20 Forum, at FSC’s annual event that brings together international business and NGO communities to discuss topics related to forest certification. This year, the speakers of the forum will discuss how to unlock the value of sustainable forest products, with the goal of better connecting people, forests and markets. In Good Company 2015 will also include open debates on consumer marketing of sustainable products; supply chain risks; plantations and deforestation; and the challenges tropical forest products face in the market. In Good Company 2015 is an exciting opportunity for participants to network and to benefit from the expertise of leaders in their sector. Many companies and organizations have already confirmed their participation, including Woolworths, Tetra Pak, Klabin and Kimberly-Clark. Register today to join this important event, and visit the In Good Company 2015 website to find out more details. Opportunities are still available for sponsorship of the event. 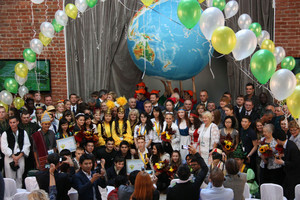 The XII International Junior Forest Contest will be held in Moscow and Suzdal, the Russian Federation, on September 27 – October 3, 2015. Organised by the Federal Forestry Agency, the Contest is aimed to encourage international youth cooperation and raise environmental awareness; disseminate knowledge on current trends, problems and prospects of global forestry. The contestants aged 14 to 22 will present their research works to the International Jury. The research themes vary from silviculture and forestry to forest flora and fauna. For more information, please, contact the Organising Committee at forestcontest12@gmail.com or link at the FFA website. The Wood Technology Institute together with the State Forests organizes in Poznan 1st International Scientific Conference entitled "Wood – Science – Economy". Scientific conferences have are often organized separately by the scientists in the field of forestry and those in the field of wood industry. However, the issues regarding forestry and wood management are so complex that they require multidisciplinary approach. In the modern world fast exchange of the latest knowledge from the perspective of the entire wood chain is necessary. Therefore, the Institute and the State Forests initiated meetings of the representatives of science and economic practice in the field of forestry, wood industry, and neighbouring fields in order to discuss the following topics: increasing wood resources and their efficient use; innovation in the forestry and wood sector; New technologies, lignocellulosic products, nanomaterials, biocomposites; use of wood for energy purposes; wood market – economic and social aspects; environmental aspects of the forestry and wood sector; recycling and other topics related to furniture industry, paper industry, sawmilling industry and other wood-related industries. In all these fields of science the latest research findings as well as the achievements and possibilities of their practical use will be presented. Thanks to cyclical nature of these meetings, the exchanged knowledge and experience will be updated, which, consequently, will positively influence the best conditions for science development in Poland, the support for innovative research projects as well as the strengthening of the competitiveness and the increase in research level of the Polish wood industry in Europe and the world. Well-known scientists from Europe (Germany, Austria, Finland, Spain, Turkey, Ukraine, Poland) and science authorities from the United States, Iran and Bangladesh have confirmed their participation. Nearly 40 papers and approximately 20 posters will be presented during six paper sessions and a poster session. Articles presenting the highest scientific level will be published in the scientific journal "Drewno. Prace Naukowe. Doniesienia. Komunikaty" ("Wood. Research papers. Reports. Announcements") – the only Polish scientific journal on wood science and one of approximately 20 international journals on wood science indexed in the Science Citation Index Expanded, which is part of the ISI Master Journal List. An open seminar on ‘Forest policy research from theory to practice’ will be organised in connection with the European Forest Institute’s Annual Conference in St. Petersburg, Russia, on 1 October 2015. The scope of this　year's　seminar is to present the state of forest policy research and practice in science-policy interface in Europe and Russia, and to discuss the needs and possible contribution of science into policy-making. The seminar has three parts: A) Forest policy science and the science policy interface B) Practice: The Russian perspective: recent developments, themes and problems and C) Science meets practice: Needs and contributions. Check out the latest updates on the seminar and register here. The ThinkForest event ‘Science-policy in action: the role of European Forests’ provides a platform for science-policy-stakeholder dialogue on how the forest-based sector can contribute to climate policy targets. The global negotiations on climate agreement (COP21) will take place in the end of 2015. Forests play in many ways a key role in climate change mitigation, but there are still many open issues, e.g. on how to treat land use and forest (LULUCF) in the context of the 2030 EU climate and energy framework. These questions will be tacked in the first part of the event ‘Towards Paris 2015: How can the forest sector contribute?’ in the International Press Centre, Brussels, at 9:00-13:00 on 13 October 2015. The second part of the event ‘ThinkForest in the forest: biodiversity and forest management’ takes place in the Brussels City forest in the afternoon of 13 October. It will highlight the possibilities of integration of forest biodiversity with forest management, and address the on-going discussion on Natura 2000. The 2nd part of the day provides an opportunity to have experience on forest recreation, biodiversity and management in the forest itself. Calling Young Leaders with an Interest in Russia! We are looking for 20 young professionals with leadership potential to take part in a unique 5-day intensive course on the forest-based bioeconomy focussing on Russia. Course takes place in Joensuu, Finland in December. The Young Leadership Programme (YLP) offers you the opportunity to interact with a network of global peers and international speakers, to fully understand the emerging opportunities and challenges facing forest-based bioeconomy in Russia. The YLP is aimed at emerging leaders from the research, education, NGOs, governance or business side of the forest sector or a related area, who are working in or with Russia. Don’t miss the opportunity to improve your leadership skills and knowledge of forestry in Russia! Scholarships are available to participants from non-profit organizations. The Young Leadership Programme is organized jointly by the European Forest Institute, Natural Resources Institute Finland, University of Eastern Finland, City of Joensuu and Regional Council of North Karelia, Finland. We've extended our application deadline to 30 June, 2015. Further information and how to apply is available on the YLP website or contact: Elena Kulikova (elena.kulikova @ efi.int). The high-profile symposium reinforces the visibility of wood and woodworking industries in global and European bio-economy. The symposium identifies future opportunities and challenges and suggests key policy actions. The symposium brings together an array of stakeholders, relevant decision makers of industries and business organizations, EU-commission and EU-bio-economy strategy, international research and innovation programs and bio-economy policy. An excellent tray of keynote speakers and a public declaration of recommendations will make the event a milestone in connecting wood products industries in the European bio-economy. Main organizer: Natural Resources Institute Finland (Luke), Research, Development and Innovation Programme "Wood Materials and Products in the Development of Bio-Economy". How to contribute? Deadline for the next issue is 15 September 2015. Read the instructions here. The content and editing is on the responsibility of each contributor. 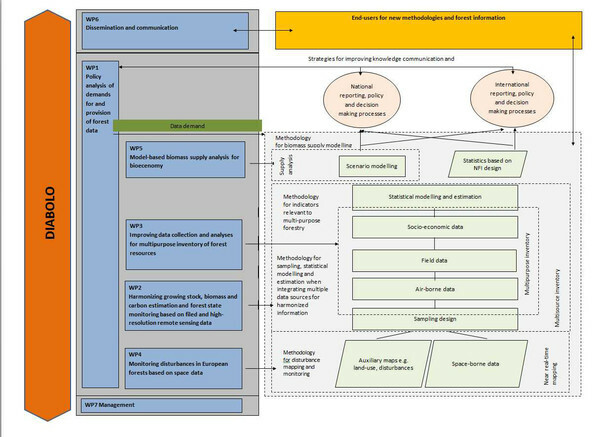 We work in cooperatation with the Global Forest Information Service.